WE CLEAN GUTTERS LLC is the #1 choice for gutter cleaning in Brookfield, Wisconsin. Our professional gutter services include both repair and installation for homes and commercial properties in and near Southeastern WI. Our technicians are from the area and proud to call The Town of Brookfield their home. Each one of them is provided continuous training and education to ensure they’re able to meet all the needs of our customers and perform the very best gutter maintenance and cleaning in the area. Our gutter cleaning service in Brookfield is highly rated by our customers. 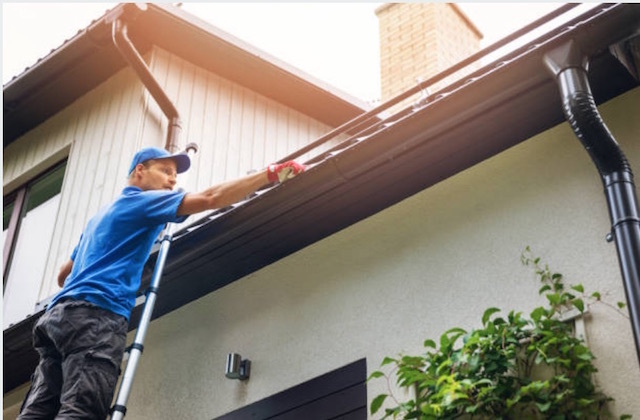 We remove leafs, soil and organic debris from the gutters and perform an inspection and evaluation to determine if repair or replacement is needed. Our technicians are able to perform to repair gutter damage related to severe storms, wear and tear and improper installation as well as ice damming. WE CLEAN GUTTERS LLC provides the necessary measurements and custom specifications to order and install both aluminum and copper seamless gutter systems and downspouts. HouseLogic offers information on available types of gutters for installation. There are several benefits to installing gutter guards on your home. Experience piece of mind and ensure the job is done right. Hire We Clean Gutters LLC to install gutter covers on your home in Brookfield.